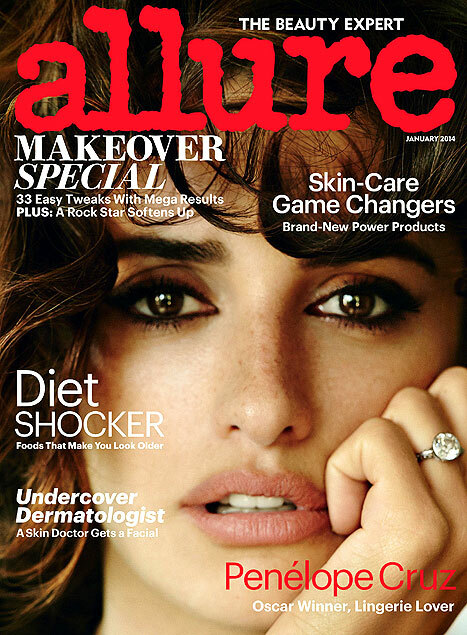 In the January issue of Allure, Penelope Cruz opens up breast-feeding, Luna, the baby girl she welcomed in July with husband t Javier Bardem. Notoriously private, Cruz describes what her childhood was like. Also mom to son Leo, Cruz speaks of her good friend actress Salma Hayek. Pick up the magazine to read the full interview. Kim Kardashian Shares Shot of North West. Did she Wax the Baby’s Eyebrows?